Canadians are often portrayed as being mild-mannered. I mean, what stand-up comedian doesn’t poke fun at us and our unabashedly apologetic ways? There are very few things that can light a fire in the collective Canadian belly, namely hockey, beer, and (especially in Ontario)…BUTTER TARTS. Now I realize some people have not had the sublime pleasure of one of these creations crossing over their lips, leaving a trail of buttery crumbs on their shirt and sticky filling dribbling down their chin. Or the new concoctions are being dreamt of in kitchens dotted across this land. The ranks of plain tarts have swollen with the inclusion of raisin, pecan, chocolate, walnut, Nutella, maple, coconut…the list goes on and on. I have even delved into the deep end of that pool by creating my own maple-pecan-bacon butter tarts. Butter tarts remind us of our grandmothers even if your grandmother didn’t make them. There is something about them that seems to speak to us from a simpler time. They are homey, and they are rustic, and they are delicious. These aren’t fussy desserts with an ingredient list a mile long that you break out for a celebration. They are comforting blanket of loving goodness wrapped in a hug. A friend told me about Ontario’s Best Butter Tart Festival in Midland, Ontario. This will be the fourth year that this festival will take over the small town in cottage country. For butter tarts. I’ll admit that with a dubious weather forecast, I was’t sure about going. 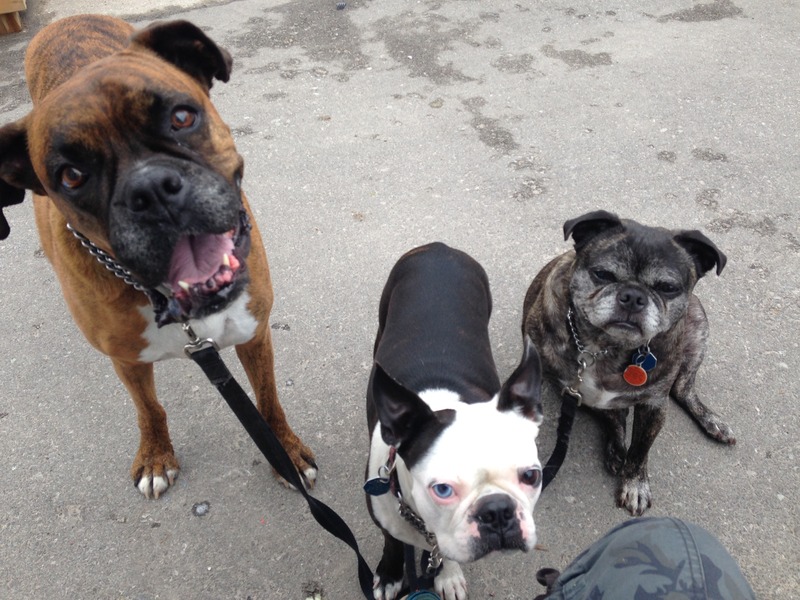 But when my alarm went off on the morning of Saturday June 11, I soon had the dogs loaded into the car and in just under 90 minutes, I stood and gaped at the steady stream of traffic and people that had braved the rain and threat of thunderstorms for butter tarts. The website had said that tens of thousands of people came to Midland and I’ll admit that I thought it was a bit of an exaggeration. Butter tarts: you can get them everywhere and anywhere. In fact I had passed several places on the drive to Midland that offered tarts for sale. But when I stood at the top of the hill and looked at the mass of humanity that spread out before me, I felt a little overwhelmed. If you look closely the crowd goes all the way to the water. The festival had vendors that lined both sides of King Street selling everything from coffee to carved wooden signs to garden ornaments. There were food trucks offering baked potatoes and barbecue and grilled cheese sandwiches. Oh and there were tables offering butter tarts and other baked goods. The biggest dilemma was deciding where to go. It wasn’t complicated as the festival is pretty much contained to one gently sloping section of King Street that ends at the shore of Georgian Bay. Since I had the dogs with me, I would not be able to see the Butter Tart contest which was being held in the Cultural Centre. It would have been interesting to see the latest trends in butter tarts but since I would not be able to sample it was not a major loss for me. 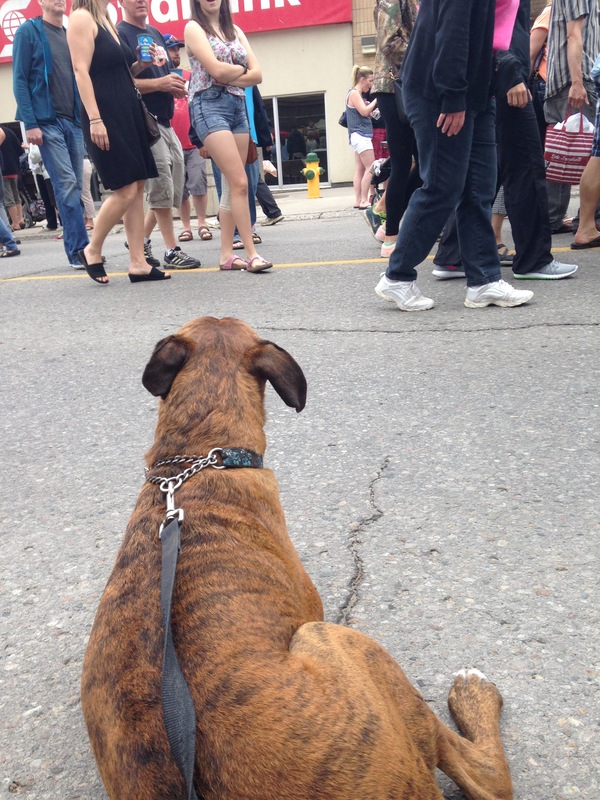 I wandered aimlessly, weaving my way through the crowd while trying to keep the dogs close. I asked a few people if they recommended any booths in particular but they all shrugged and said it was their first time too. The dogs handled the throng better than I did. We had so many people stop to pet them I felt like I should have set up a booth. They were LOVING the attention. Finally I saw a sign for Doo Doo’s butter tarts and that they had won first place at the festival two years in a row. Behind that sign, there was a line-up. I hesitated but decided that I had to try them so I joined in the line. I’m not quite sure how long I stayed in that line but with all the people that stopped to see the dogs the time passed. With tarts in hand, we continued down the street and in the time that we had been in line, the number of people had swelled. The street could barely contain the mass of humanity. By the time that we had made it to the bottom of the street and turned back, several places were sold out of the tarts. In fact, the booths selling tarts for dogs said that they had sold out within an hour. By the time I had made it back to Doo Doo’s, the tables were bare. Less than two hours had passed since the festival had opened. I felt like we ran something of a gauntlet as there were two stands selling meat products on the way back. I stopped at one and bought a massive pack of turkey pepperettes. I had this image in my head that the dogs would be jumping on the table or knocking things over but they were so well-behaved; or maybe just distracted sniffing the pavement for crumbs. Either way, they were terrific. Waiting patiently for their snack. 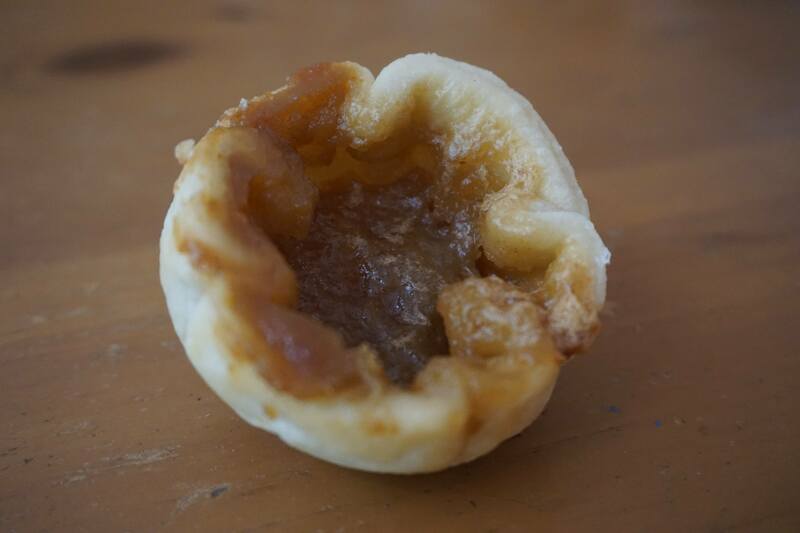 We did have one butter tart while we were there from a stand with no name and it was… good. A short distance later we found the one and only place selling butter tart milkshakes. It was…okay. Piper likes to people watch too. We left after three hours carrying a small stack of butter tarts from four different bakeries. I’ll do a proper review of them in a later post. After a long run. A very long run. Get there early to beat the crowd and get first pick of goodies. If you want to buy something, buy it when you see it. Tarts and some of the other goods will sell out quickly. This year the contest was held at the Cultural Centre. If that’s what you want to see, make sure you go there. I did not see any signs for the contest. The street is going to be crowded so be prepared if you have little ones, especially if they need a stroller or you want to pull a wagon. The crowd may be overwhelming for a dog. I saw many people carrying small dogs and some of the bigger dogs were very skittish. The people around may or may not care that you have children or dogs. I had several people look right at me and the dogs then try to walk between us. I also saw several strollers that were almost knocked over by people walking by. Bring a backpack or bag to carry all your purchases and snacks if you want to save a few dollars on food and definitely water on a hot day. I would recommend a backpack because bags just get knocked around in your hand and the think plastic bags can tear. Try to figure a system for deciding which vendors you want to visit. The sheer number of places selling tarts had me shocked. The vendor list can be found online and I did see some people handing out maps but the signage was very poor. Some booths had no signs, there was nothing posted that showed where the contest was, or port-a-potties, or the food trucks. Bring sunscreen. It’s all outdoors. Businesses in Midland will still be open so there is more to see than just the festival and other things to eat besides the food trucks. 1 response to "Ontario's Best Butter Tart Festival"